My Times Argus Sunday started off with the Thunder Road car show in Barre Vermont. 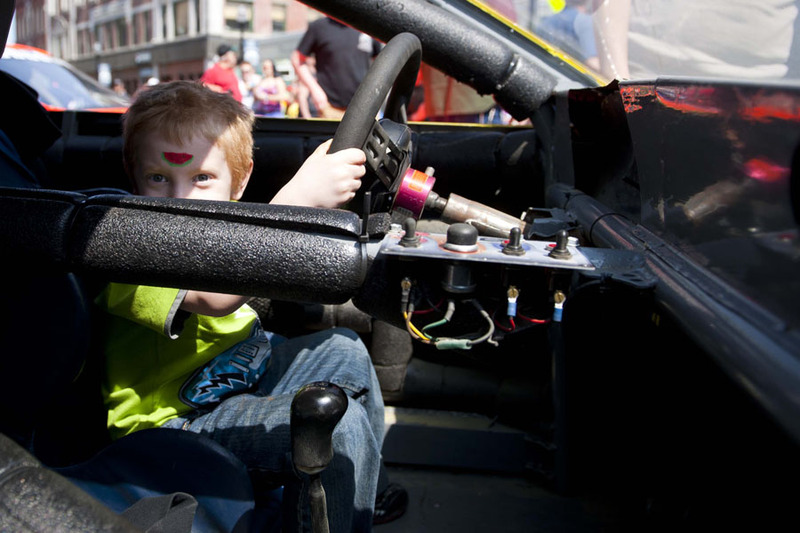 Race car drivers from all over the state to display their cars on Main Street in Barre and promote the start of the racing season. The weather so far this spring has been unusually dry and while I was editing photos back at the office a call came over the radio for a brush fire in Orange. 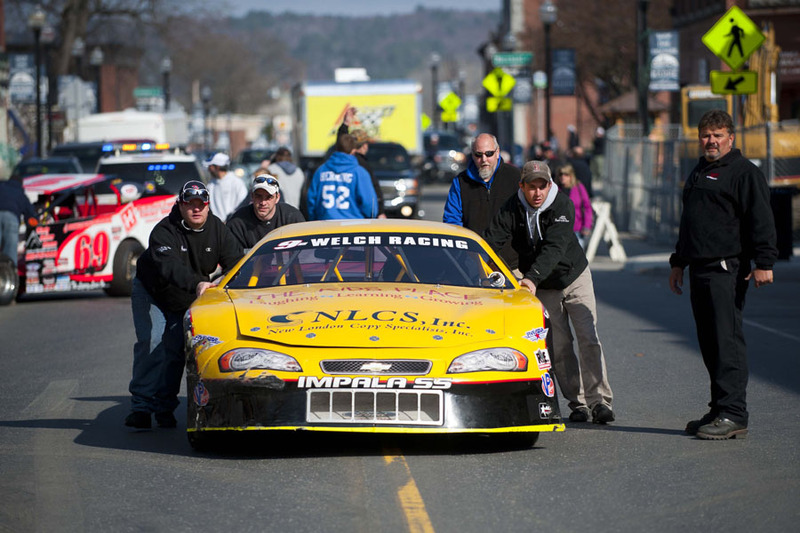 Kyle Welch and the Welch racing team push their car up Main Street in Barre, Vermont at the start of the Thunder Road Car Show on Main Street in Barre, Vermont on Saturday, April 27, 2013. 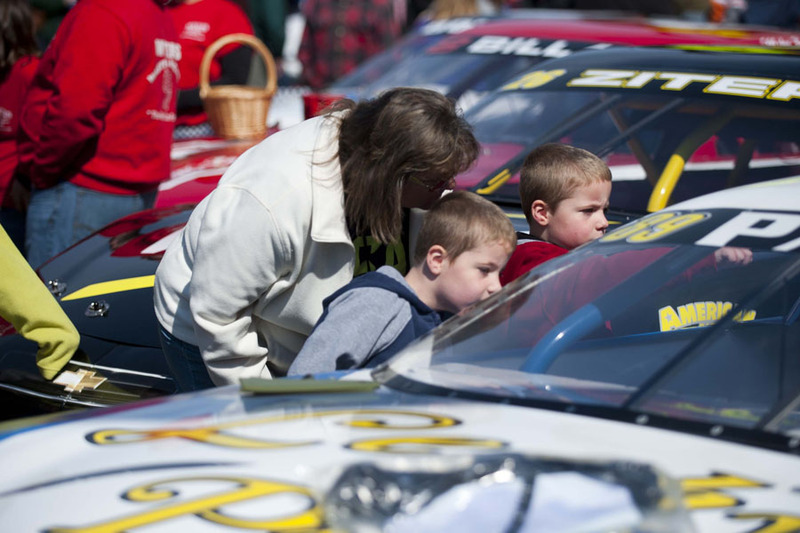 Donna Gagnon, center, and her twin grandsons Connor Murray and Chase Murrah, 5, inspect a race car at the Thunder Road Car Show on Main Street in Barre, Vermont on Saturday, April 27, 2013. Paul Mascitti of Mascitti Bros. 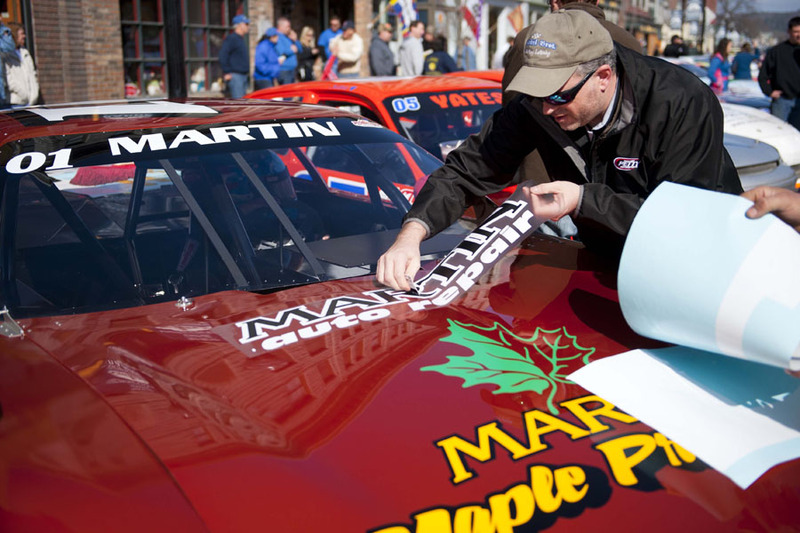 Custom Vinyl Lettering applies a last-minute decal to the Martin Maple Products race car from Craftsbury Vt. at the start of the Thunder Road Car Show on Main Street in Barre, Vermont on Saturday, April 27, 2013. 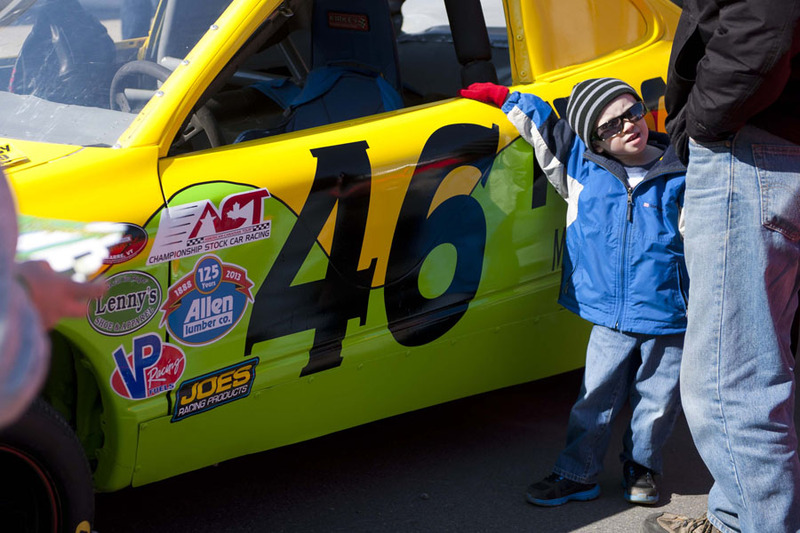 Benjamin Hebert, 4, checks out the Froogy 100.9 #46 race car at the Thunder Road Car Show on Main Street in Barre, Vermont on Saturday, April 27, 2013. Emily Packard, center, signs autographs for Tiler Emerson, 7 of Williamstown, at right, and Avery Murphy, 11 of Fayston, in back, at the Thunder Road Car Show on Main Street in Barre, Vermont on Saturday, April 27, 2013. 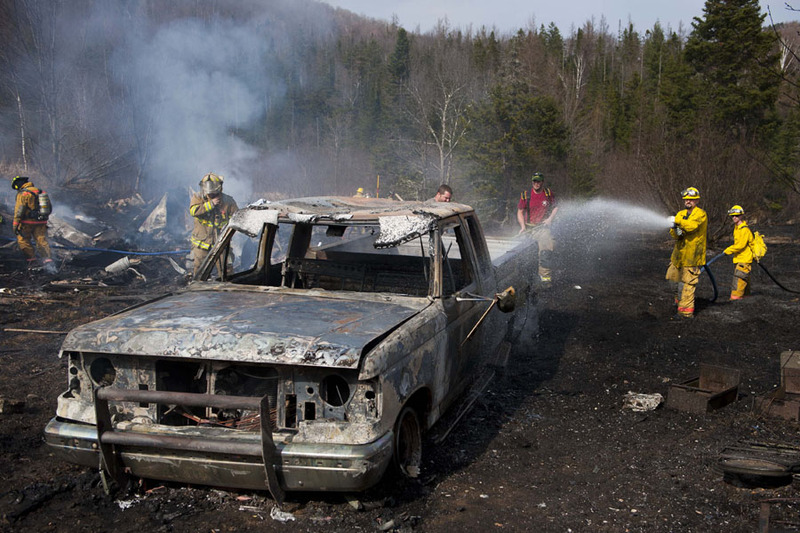 Barre Town Firefighters work on a brush fire that destroyed a 1988 Ford F-250 pickup truck and a shed containing some power equipent and other assorted tools before firefighters were able to get the blaze under control. The fire, which started at about 3:15pm, burned about an acre of Alice Smith’s land on Smith Road in Orange, Vermont on Saturday, April 27, 2013. Sylvia O’Brien, Smith’s daughter, was burning some old growth out of a raised garden when a gust of wind caused the fire to spread. O’Brian and another neighbor both called 911. Crews responded from Barre Town, Plainfield, and Washington, they were able to get the fire contained before it spread to Alice Smith’s mobile home where she lives adjacent to the property that was scorched.